The Dutch Hill DH1000 Tripod is perfect for auto levels, lasers and most other instrumentation. Weighing in at only 7 lbs. 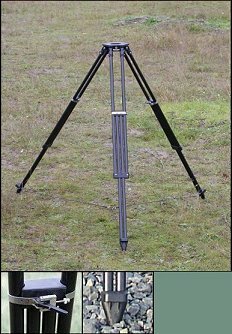 this is an excellent unit for those who have to do a lot of work in rugged, difficult terrain or anywhere else a lightweight tripod is used. 2 year warranty.